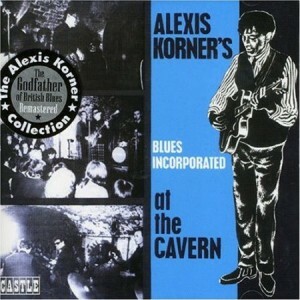 At The Cavern is a live album by Alexis Korner’s Blues Incorporated. It was released in 1964. More recently it has been extended and remastered. At this time in the early 1960s groups like Blues Incorporated and The Rolling Stones were doing an excellent job of popularising blues and r&b to a white audience. What do you think of this live album? Is it one of the best early r&B and rock & roll live albums? What Are The FIVE Best Rock & Roll and Early RnB / Blues / Soul / Jazz Hybrid Live Albums? You may also be interested in the best blues live albums and the best blues rock live albums. The lines between these categories can be very blurred but I try to group like items together to help guide your future choices. This entry was posted in 1960s Live Albums, Rock n Roll and Early RnB Live Albums and tagged 1964 live albums, Alexis Korner Live Albums by Paul Simister. Bookmark the permalink.